A RECENT survey conducted in Diyarbakir, southeastern Turkey, shows that the pro-Kurdish Peoples’ Democratic Party (HDP) will get over sixty percent of votes in that city. This will be at the upcoming end of March local elections. The survey conducted by the Diyarbakir-based research company, Rawest, projected that HDP will get 62%, the second party would be the ruling Justice and Development Party (AKP) that will secure only 32.8% of votes. 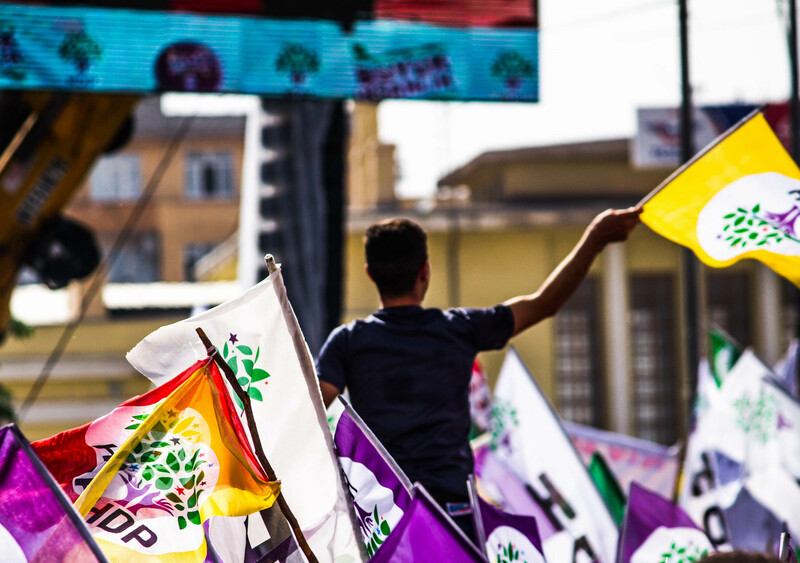 The figures obtained by the survey display a twelve percent increase in HDP votes, as compared with the 55.1% of votes the HDP got in the 2014 local elections, securing its victory. Over 35% of the votes were cast for the governing party’s mayoral candidate in 2014 and the results of the new survey project a 6.2% decrease in the number of votes for AKP’s 2019 mayoral candidate. If the results of the survey are to be compared with the last general elections of June 2018, the parties with increasing and decreasing vote percentages switch sides. In the 2018 parliamentary elections, HDP received 67% of the votes while AKP only got 20%. However, voting trends change between general and local elections, as the base of the other opposition parties tends to vote for AKP against HDP. This phenomenon is largely a result of the latter being viewed as the civilian representative of the outlawed Kurdistan Workers’ Party, PKK, which has been waging an armed insurgency inside Turkey for over forty years. AKP regards PKK as a terrorist organisation. Although the above-mentioned case provides an explanation for the increase in AKP votes, the 7.5% percent decrease of HDP votes since the general elections may be a cause of concern for the party’s caucus. Some 94 out of 102 municipalities in Kurdish-majority cities and towns are being administered by trustees appointed by Ankara, instead of elected mayors. Authorities removed the elected representatives in the latest municipal elections of 2014, as part of a crackdown after the failed coup of June 2016. Gultan Kisanak, the deposed mayor of Diyarbakir metropolitan municipality, was elected in 2014 but was removed from office by the Ministry of Internal Affairs in 2016. She was sentenced to fourteen years and three months in prison on terrorism charges on Friday. This was after a two-year long trial process after she was bust and imprisoned. Rubio: Don’t help Maduro steal Venezuela’s gold reserves! © 2019 - IPA NEWS. All Rights Reserved.